The question every sharply dressed man faces in the summer months is how to look good in a suit while remaining comfortable. It’s possible with these tips for what makes for the best men’s summer suits. Great choices for a made-to-measure summer suit are linen, cotton, and, if you really want to make an impact, Pepi Bertini would recommend a more casual look. Our team of stylists can help you choose what’s best. While your wardrobe should be dominated by work-appropriate blacks and dark blues, these are not the best colors for beating the heat. For that, you want lighter colors that reflect more light and heat. A light tan suit can make a significant difference in how hot you feel in sunny weather. Other good choices are a light gray or similar colored suit. 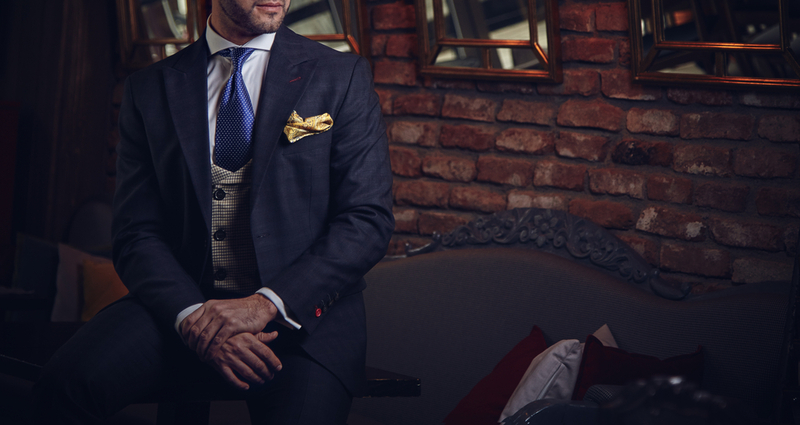 Consider getting some made-to-measure suits made in lighter colors and fabrics, as a bespoke suit helps ensure you get a great looking fit when using lighter fabrics. If you’re in an air-conditioned office most of the time, you’re still going to be able to wear your everyday office attire of largely wool suits. But if you’re going to be out in the heat, yet still prefer a wool suit, consider getting a custom wool suit made from a thinner weave. To get fitted for your bespoke summer suit wardrobe that will keep you cool all summer, schedule an appointment with Pepi Bertini today.